We offer a free and impartial advice & technical services as part of our commitment to you the customer. We believe in giving you the right advice first time to suit your needs and budget. We only believe in installing the highest quality brands of parts & materials to ensure customer satisfaction every time. Our comprehensive product range includes advanced heating systems for all fuel types and for every output range from 1.5 to 20 000 kW. Our product are technically the best solution for any requirement, everything's supplied from a single source, with perfectly matching system components. Nigel Stoves Plumbing & Heating was established in 1984 by Nigel who after 10 years working as a heating engineer decided to start his own business. The business has grown and over the last 10 years Nigel has been joined by his sons Kristopher and Mathew who are both extensively trained and qualified in both domestic and commercial plumbing and heating systems. We are all City & Guilds qualified and members of Gas Safe (previously Corgi), APTC (Association of Plumbing & Heating Contractors), CIPHE (Chartered Institute of Plumbing & Heating Engineers), OFTEC (Oil Fired Technical Association) and WRAS (Water Regulations Advisory Scheme). Fossil fuels, such as oil and gas, will remain the fuel type of choice in the global energy mix for some time to come, which means they will also continue to play an important role in the heat and energy market in the coming decades. 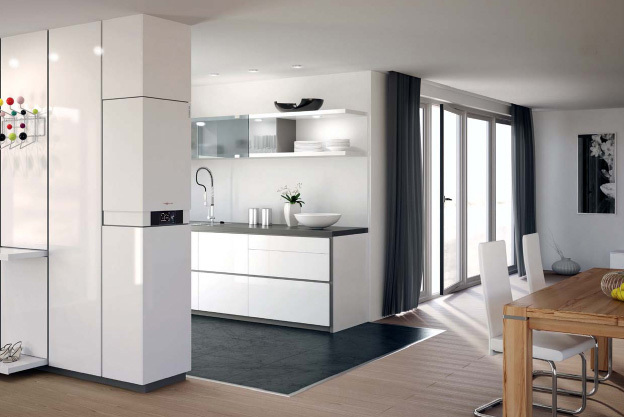 By using bio-oil and biogas, the boilers from Viessmann already have the future built in. 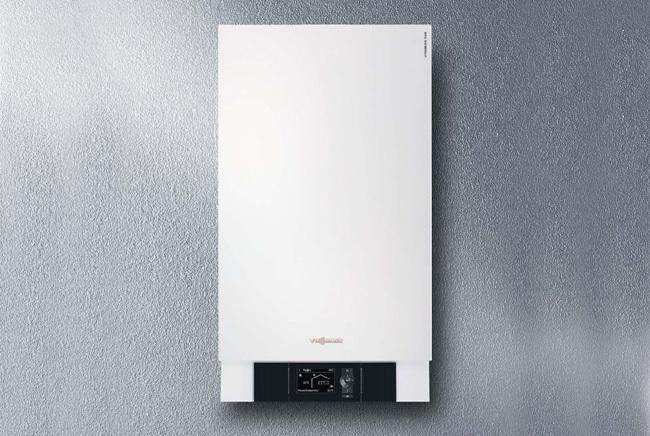 Viessmann supplies a range of highly efficient oil and gas (domestic and Commercial) boilers with an output up to 116 MW – whereby the overall system output can, of course, be significantly higher due to the combination of several boilers. Our individual boiler concepts achieve savings of up to 25% compared with old systems, whereby the actual saving in litres or m3 increases proportionally with the energy demand. Alongside many years of experience in boiler technology and highest quality standards, it is the consistent development of pioneering milestones, such as oil and gas condensing technology, with which our systems can be equipped, that makes them future-proof and safeguard their essential operational reliability. We provide a Power Flush cleaning service for your heating system. This removes excessive sludge and improves your heating system's circulation. We also provide Magnetic Magna Clean Filtration Systems. This product can be installed permanently to again remove excessive sludge and debris from your heating system. It reduces the need to flush the system on a regular basis. We provide a Power Flush cleaning service for your heating system. This removes excessive sludge and improves your heating system's circulation. We also provide Magnetic Magma Clean Filtration Systems. This product can be installed permanently to again remove excessive sludge and debris from your heating system. It reduces the need to flush the system on a regular basis. Landlord 'Gas Safety Certificate' check. Installation of gas cookers, hobs, ranges, gas fires and fireplaces. We are also Part P Electrical Installers. All our engineers have gained Energy Efficiency and Water Regulation Certification. Installation and associated equipment. We only install the highest quality brands of parts & materials to ensure customer satisfaction. 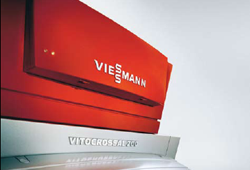 We are Viessmann accredited installers and repair specialists. If you are in need of an estimate, we can arrange an appointment convenient to you. We can provide advice & offer technical services to suit your needs and budget... we're only a phone call away... Telephone our Office 01642 588864 or Mobile 07831 604 480. We are all time served Heating Engineers & one of the longest established plumbing & heating business in North East. We offer competent skills and have an in depth knowledge of most modern household & commercial heating systems as well as providing general plumbing services. All our Gas Engineers are time served for a minimum of four years.